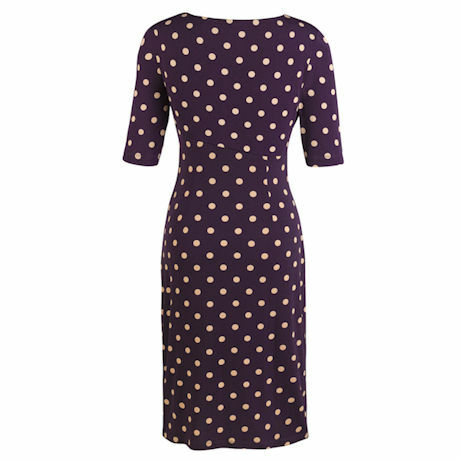 A plum pick for a night out in heels - or pair it with boots and a cardigan for a stylish 9-to-5 look. 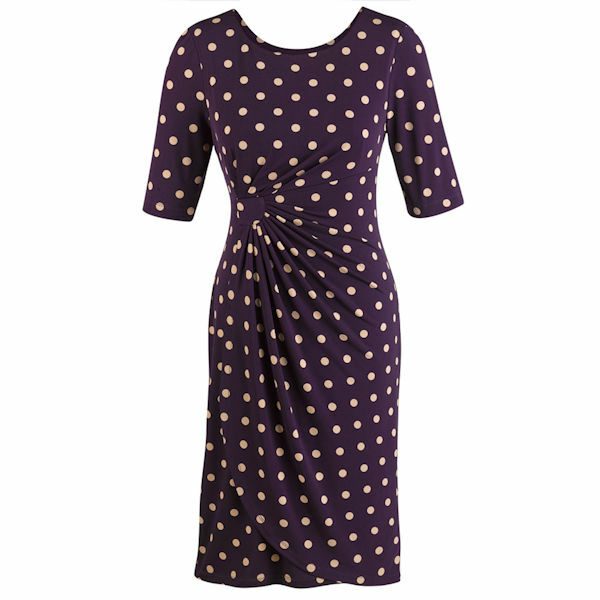 The side-gathered design creates a curvy silhouette; slim-cut elbow sleeves contribute to its cool, comfy wearability. Machine wash. 96% polyester/4% spandex. Imported. Sizes 6-16, 14W-24W; 40"L.